Gunn Point Road is the main access to a number of very popular recreational fishing destinations close to Darwin, Palmerston and surrounding suburbs including Leaders Creek, the Vernon Islands, Saltwater Arm and the lower Adelaide River. The road provides access to the Leaders Creek Fishing Base, which is a popular and developing local tourism business offering accommodation, camping facilities, boat hire and supplies. The road will also provide access to Project Sea Dragon, a $1.45 billion prawn aquaculture project that will generate significant economic and employment opportunities for locals. The existing road is unsealed and in poor condition and prone to corrugations, dust and wet season closures due to flooding. The current poor condition of the road is the limiting factor to any further growth in recreational fishing or tourism for the area. 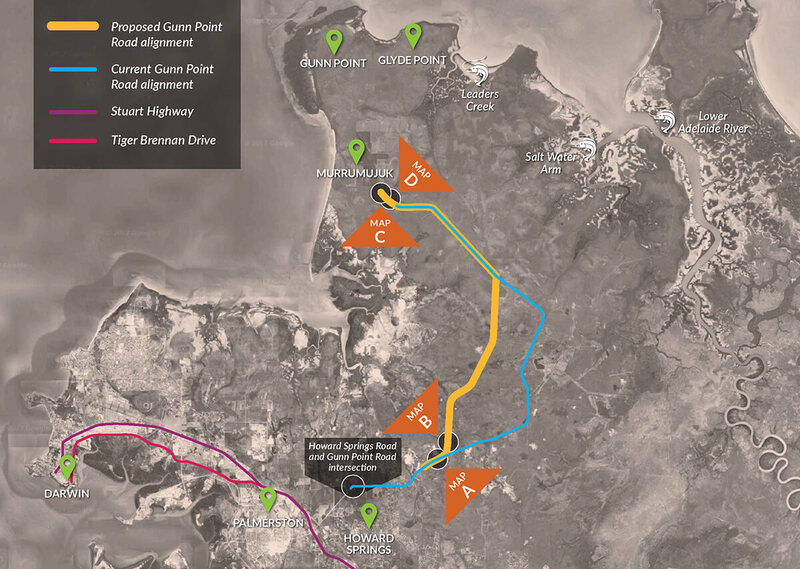 The Northern Territory Government has commissioned technical specialist Tonkin Consulting to lead a planning study to inform the concept development for Gunn Point Road and confirm the most appropriate alignment for Glyde Point connection. The planning study will occur across two packages. 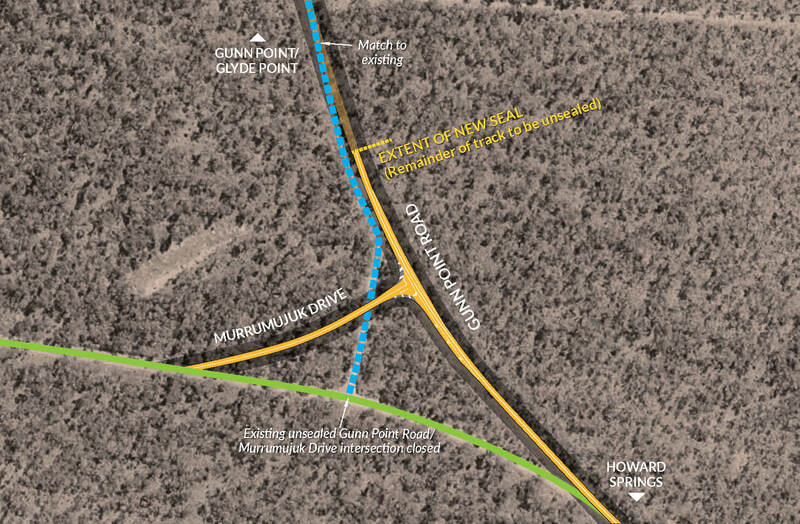 The first package of the project is to develop a costed design concept for Gunn Point Road that includes realigning, upgrading and sealing the road to a two-way single carriageway from Howard Springs Road to Gunn Point. potential impacts on the environment, residents and the community. The study will take into account potential future development in the area as outlined in the Darwin Regional Land Use Plan 2015 which earmarks future development in this area. A design concept is being prepared based on feedback gathered during the first stage of the planning study and includes realigning, upgrading and sealing the road one lane in either direction. elevating higher than surrounding land to improve flood immunity during the wet season. Community feedback gathered as part of the concept design, will be used to inform the detailed design and construction. 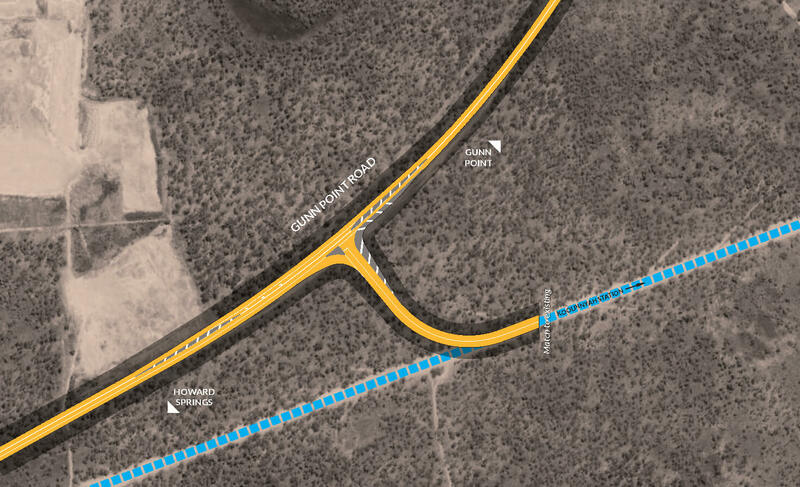 The realignment and seal of Gunn Point Road is expected to commence in the 2018 dry season. Consultation on Package Two will commence in March/April 2018. 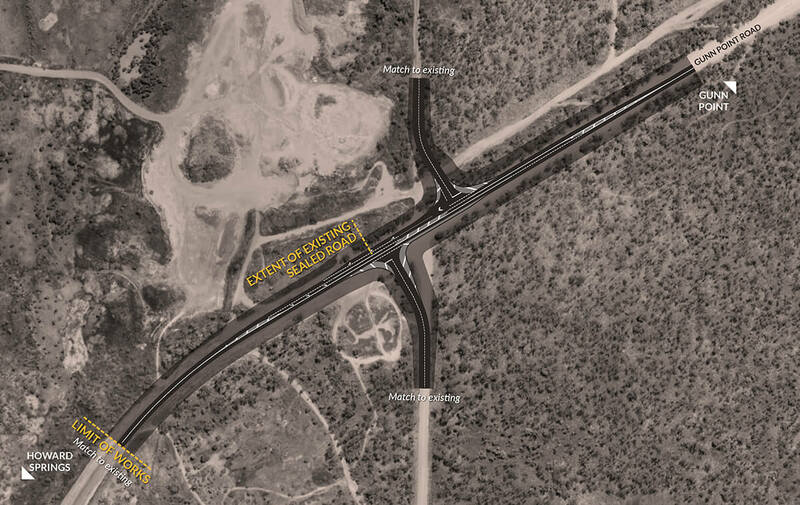 Package Two will confirm the alignment of the Glyde Point connector road at the southern and northern end of Gunn Point Road. Register your interest below to stay informed on this project. Phone 08 8981 6445 to provide your feedback.